"The gravitational waves from these supermassive black hole binary mergers are the most powerful in the universe," says Chiara Mingarelli, a research fellow at the Center for Computational Astrophysics at the Flatiron Institute in New York City. 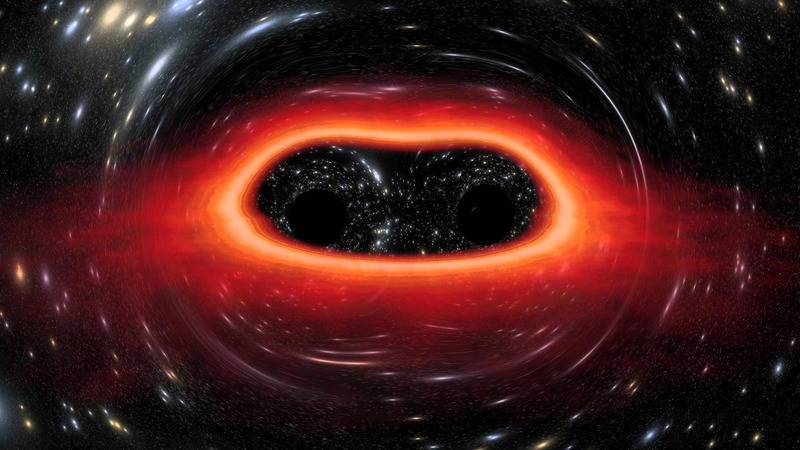 "They absolutely dwarf the black hole mergers detected by LIGO," or the Laser Interferometer Gravitational-Wave Observatory, which first detected gravitational waves from colliding black holes in February 2016. Astronomers won't have to wait much longer for their first glimpse of one of the biggest types of unions in the cosmos. New research predicts that gravitational waves generated by the merger of two supermassive black holes will be detected within 10 years. The study is the first to use real data, rather than computer simulations, to predict when such an observation will be made. A black hole merger in a massive galaxy like M87 would yield detectable gravitational waves for 4 million years, for instance, while a more modest galaxy such as the Sombrero Galaxy would offer a 160-million-year window.